It's time for another China Glaze Glitz Bitz n' Pieces polish today. 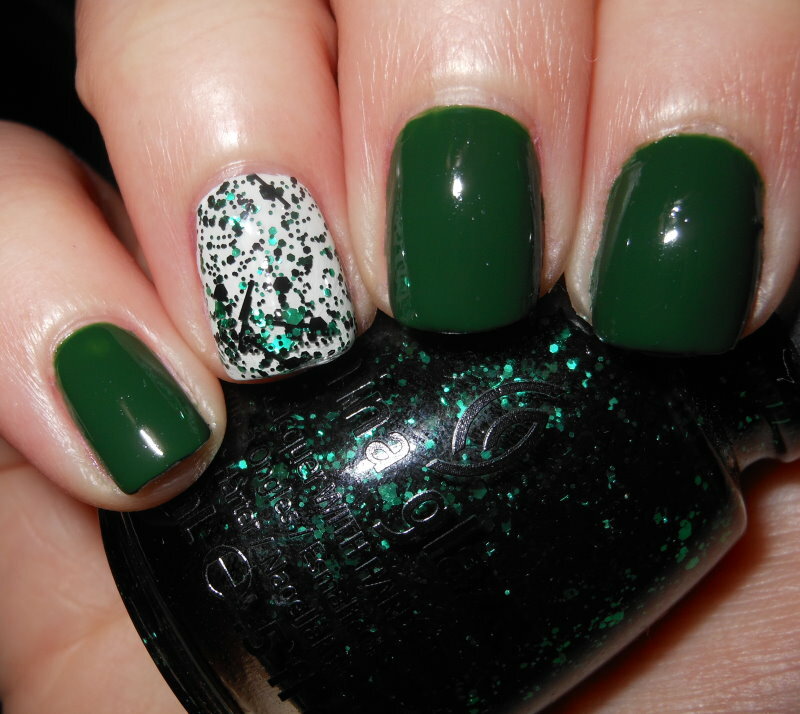 This one is green and black combo called Graffiti Glitter. This one like the others I've posted I really do love! These are so cool. This entire collection is turning out to be one of my favorites from China Glaze. Graffiti Glitter is a mixture of varying sized green and black glitters with black bar glitters in a clear base. This is another great glitter! I'm just loving the color glitters mixed with black in this collection. This applied nicely, and the glitter comes out easily. This is another case of I really like this, but can't find any other descriptive words to describe how awesome it is! Wee! Green! Glitter! I really love the glitters from this collection, but I can't find them anywhere (locally)! I really like this one - I mean, come on, green glitter - swoon - but didn't pick it up. I must rectify that!